A warning of the highest level of urgency has been issued by the European Aviation Safety Authority (EASA) for the new Airbus A350-941, which was introduced to service in 2014. 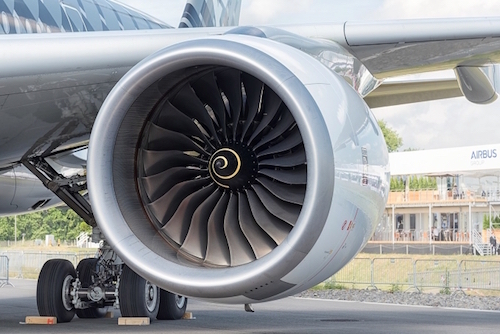 The air worthiness directive (2017-0154-E) was issued due to a hydraulic fluid cooling system problem, which, if not solved, could potentially lead to an engine explosion. The trigger for the warning is, according to EASA, a recent overheating error of the plane’s hydraulic pump. If the pump fails, the temperature of the hydraulic fluid could rise rapidly. If the failure is not detected on time, a risk of the explosive mixture igniting arises. To address this potential unsafe condition, Airbus issued a Major Event Revision of the Airbus A350 Master Minimum Equipment List (MMEL) that incorporates restrictions to avoid an uncontrolled overheat of the hydraulic system. Airbus states that by means of a software update the identified risk can be switched off at short notice. The operators of around 100 delivered A350s have already informed in detail. Lufthansa, which currently operates four A350s, is already implementing the measures required by EASA. This will have no impact on the flight plan, according to a Lufthansa spokesperson. In both civil and military aircraft, arrangements are made to prevent the ignition of the fuel-air mixture in the tank. The widespread introduction of the current tank safety systems started after the Trans World Airlines Flight TW800 crash in 1996 that took the lives of all 230 people on board. The plane crashed twelve minutes after takeoff. The investigation showed that the crash was caused by the explosion of flammable mixture of fuel and air vapors in the fuel tank, most likely triggered by a short circuit.